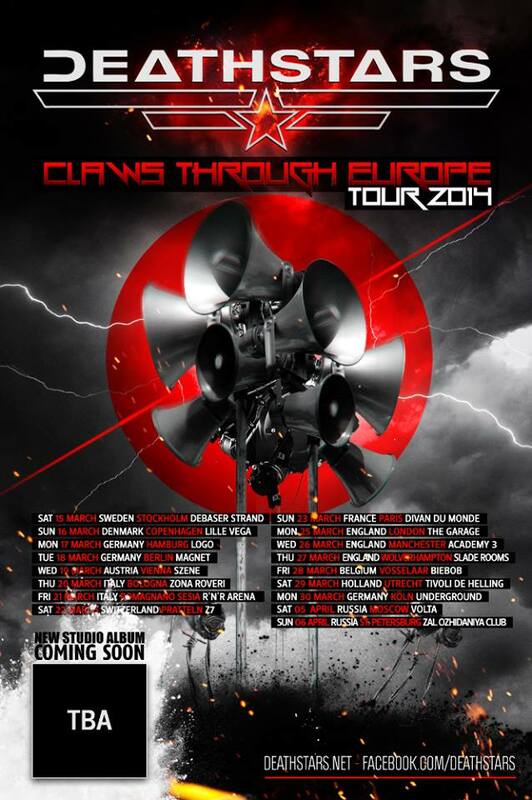 Yes, it's true: The masters of Death Glam from Sweden's capital Stockholm are going to invade Europe, the UK and Russia in March and April 2014! Apr 06, 2014 St.Petersburg, Russia, Zal Ozhidaniya. You need something to read to get in the mood for the tour? There you go. A new studio album is set for 2014. Neon Lights will keep you informed. Who hoped to see Deathstars bassist Skinny Disco still this year on tour with VAIN: The Europe tour has been postponed till spring 2014! VAIN: "We really feel bad about it but it's out of our control. Hope to see you in spring and show up with some new studio tracks." Deathstars: Headliner of "Trash Fest V"